Who knew June was the nation’s official candy month? We did! It says a lot about a country when it dedicates an entire month (the best month!) to candy. And according to official holiday rules, you have to eat candy for dinner every night until July. Alright, maybe those are Old Time Candy’s unofficial rules…but there’s no reason not to incorporate a little more sweetness into your days this June! National Candy Month not only serves as a free pass to eat a few more gummi bears than usual, it also acts as a brightly colored reminder to live your life with the happiness and joy that candy brings. Remember that feeling you got walking through the aisles of your favorite candy store? Like Willy Wonka’s factory, you can surround yourself with a world of pure imagination in your everyday life! Here’s a roundup our favorite candy decor ideas to keep your world as colorful on the outside as you are on the inside. 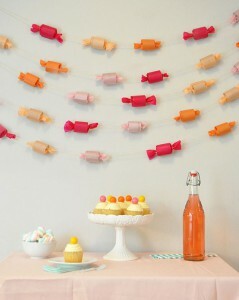 Candy Garland from Oh Happy Day! 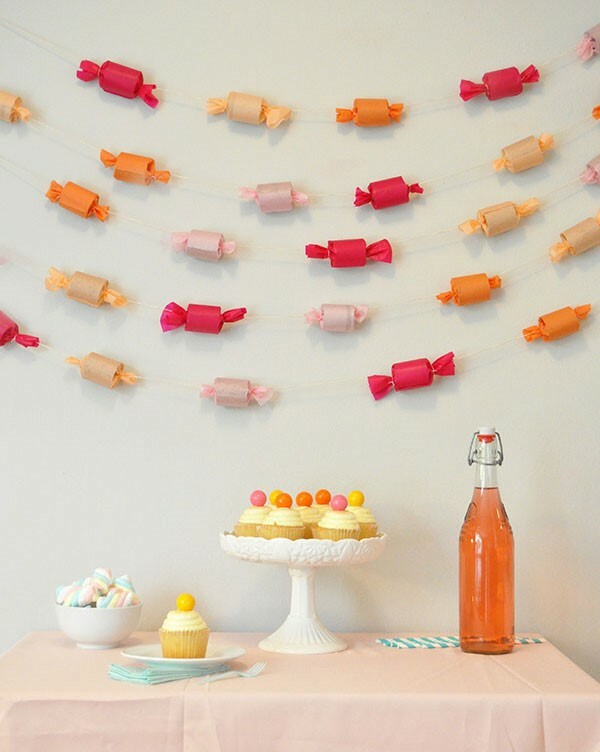 You don’t need to have a party to have candy garland! This adorable decoration would be cute all year round. Just a few toilet paper rolls, tissue paper, and string makes a blank wall a feast of color. Hang this above your bed for a super cute wake up call. Gumball Necklace from Thoughtfully Simple! Want to carry a little happy with you? 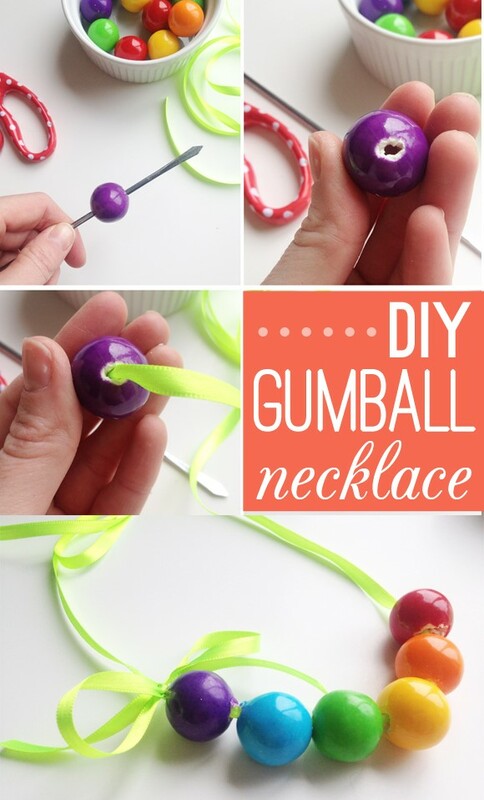 Make this easy gumball necklace! Old Time Candy has a wide selection of gumball colors and flavors, so you don’t have to waste your good quarters trying to get the pieces you want out of the machine. Add your favorite color of ribbon and you’re good to go! 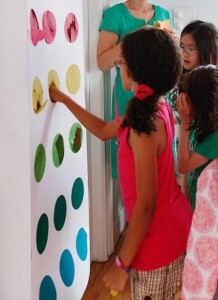 Candy Button Punch Box from Celebrate the Big & Small! Not only does this look like a big panel of candy buttons, you can also rip through the tissue paper dots to more treats inside! This would be great as a Candy Month calendar, with a button for every day and a sweet little reward inside. Pick your favorite candies with a pack-a-bag from our site! Great idea for kids, or for yourself. Everyone can use a little motivation to get up and go! Do you have any grand ideas to transform your humble abode into your happy place? Tell us all about it in the comments!